SUZANNE BONETTI is the voice for M&S Marks & Spencer online Christmas Campaign in particular the Christmas Lingerie that is whipping up a wave of social media and tweet traction. With M&S Christmas Lingerie Shoppers worldwide may well enjoy a bountiful Christmas season with a brilliant range of rather exciting products and services. Featuring Rosie Huntington-Whiteley... maybe a great time to buy M&S ? Suzanne Bonetti is voice of ESSO TV Radio & Online commercials campaign UK screening through 2013. Suzanne Bonetti and real-life son Joseph Bonetti (child Actor at www.bonettikids.com ) star in this award-catching VW Caddy car commercial featuring the new hands -free Park-Assist automation. The Agency hired them hoping that she could drive reverse eyes closed as well as her dad Peter Bonetti could catch a football. RAPID INTERVENTION - by Mark Collins and Flyte Productions Starring David K Bower and cast of child Actors Sammy-Joy Bonetti, Joseph Bonetti with Suzanne Bonetti and Stephen Hope-Wynne. Principal photography begins in November 2012 on location at isle of Wight, UK. Suzanne Bonetti is voice of ESSO Worldwide TV Online & Esso UK national radio campaign This utilises Suzanne's latest EXXON reads. "Excelling quality voice. Suzanne always brings refreshing brightness and classical precision. A great save !" Suzanne Bonetti is co-presenter (voice) with Fiona Bruce on UNILEVER's global, media presentation. M & S UK nationwide radio ad campaign. Latest client activities for Suzanne Bonetti and Steve Hope Wynne include Unilever, Esso, Exxon, M&S, Aviva, Nottcuts Garden Centre for Baby Grand Creative and American Express Training for Ogilvy London. Many sectors of corporate activity include; Technology, medical, financial, meterological, transport, motor, government, research, mining & energy, aeronautical, aviation, defence & security, maritime. Suzanne Bonetti and STEVE HOPE WYNNE team up to launch TANGITISE a Corporate skin for their USP combination of military graded training in discretion such as confidentiality of media production with 25 years performing presentations for Mid to Large Cap Corporation Communication Advertising. SUZANNE BONETTI in DFS Commercial airing UKTV terrestrial, non-terrestrial & online channels Easter 2012.from EASTER through 2012. SUZANNE BONETTI is set to star with her children SAMMY-JOY and JOESPH BONETTI and partner STEPHEN HOPE-WYNNE in SAUNDERS COWIE FILMS – ‘TOYBOX’. Principal photography spools through April 2012 set to unspool at International Film Festivals from June 2012 – perhaps RAINDANCE and CHINA ? Fingers crossed ! SYNOPSIS - two children who immerse themselves in books and toys to evade the pressures of modern family life strafed by the constant, current economic crossfire that is drowning their parents. The film will be shot as a high-art-design style and will be submitting to international Film Festivals worldwide. FEATURE FILM / BOOK IN DEVELOPMENT – MISTER MANN by Gerard G Gerard. SUMMER 2012 – 2013. 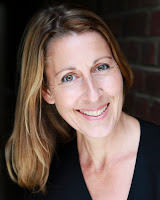 SUZANNE is attached cast as main support to in first of series adapted from the cult controversial Psychological Surrealist Horror ‘MISTER MANN’ by Gerrard G Gerrard. Suzanne’s son JOSEPH BONETTI is attached as the Child LEAD (boy Mister Mann) alongside STEPHEN HOPE-WYNNE as ANTAGONIST / main support Mr Li. Not yet greenlit is anticipated development moving to Production by 2013. Suzanne is VOICE of VASELINE cosmetic & skin care Brands and CNN. PARTNER– STEPHEN HOPE-WYNNE Is completing as Co-lead Villain THOMAS REID in Horror Feature ‘ASYLUM 1’ of a series of 3 for SPEED FILMS while filming LEAD ROLES in three other projects in H1 2012 STEPHEN KING’S ‘BIKE’ story, ‘TOYBOX’ and several other titles. STEPHEN has just signed COMMERCIALS and CORPORATE / PRESENTING business to NEW REPRESENTATION with JOHN SETRICE of MACFARLANE CHARD ASSOCIATES TALENT and LITERARY GROUP. Here is an example of a Vimeo link posted on the blog. Enjoy!